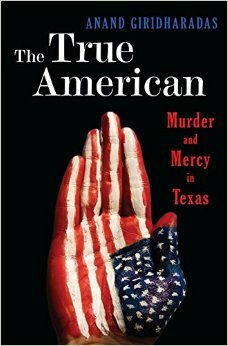 Review: 'The True American: Murder and Mercy in Texas' was our book club read for November. Rais is a hard working Bangladeshi working in Dallas when he is shot in the face by Mark Stroman. Stroman is quickly arrested and convicted, but the two men lives are intertwined when Rais works with a team of people to help spare Stroman from the death penalty. I've read several true crime novels and this was definitely one of the better ones. Like all authors, Giridharadas injects some of his own disdain (he clearly did not care for Stroman's former boss who helped turn him in) but overall, I think he did a very good job presenting Rais and Stroman. Rais is such a hard working, positive individual I was thoroughly impressed by his attitude and spirit (and my heart absolutely broke for him when his engagement fell apart). I particularly liked how he handled Stroman, primarily by introducing him by court records. I also learned a lot of death row and its inmates (there are pen pal programs, who knew?). I think the oddest part of this book was the last third, which weirdly focused on Mark Stroman's children and their struggles. I feel like this was completely unnecessary and didn't fit in with the rest of the book. Overall-this was a very good read and sparked a lot of discussion at our book club. The last third should have been edited out, or included as an afterward.